Staff , price, and proximity to the airport . If you missed your flight and will travel next day early in the morning (staying only overnight) , you might consider this hotel for less than half of the price you will be for IBIS hotel . 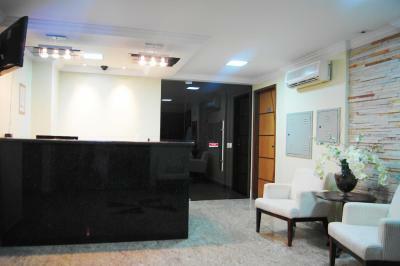 Good location and basic services for a business trip. I loved that it's so close to a big shopping mall and also the airport. 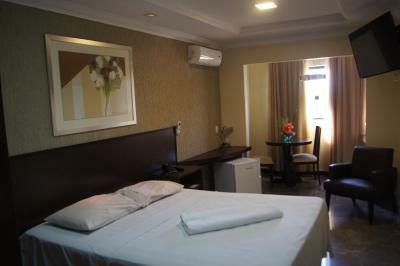 It's a great hotel for those who want to stay close to the airport, otherwise it's very far from the city. The stuff was friendly and helpful. - o hotel é bem localizado, ao lado de um mercado e 10 minutos do aeroporto! - quarto silencioso. 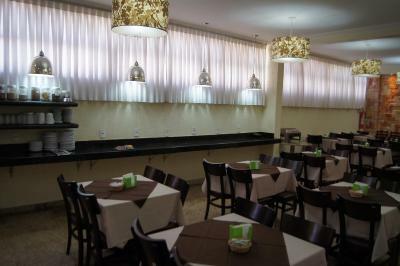 - café da manhã excelente, poderia apenas ir até as 11h seria perfeito! Atendimento da recepção, muito bom!!! 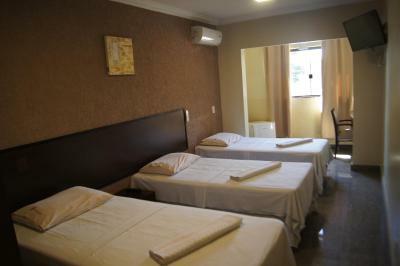 São muito atenciosos e educados, café da manhã muito bom, chuveiro quente e cama confortável. Ótimo custo benefício. 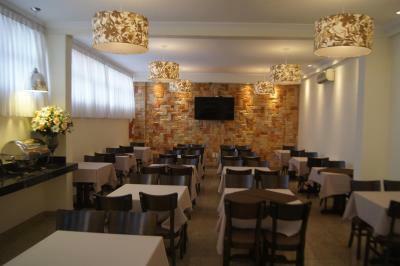 CAFE DA MANHA, BOM, BEM SORTIDO E DE BOA QUALIDADE. Localização boa, próximo ao aeroporto e Setor de Embaixadas. Recepção convidativa e funcionários agradáveis. 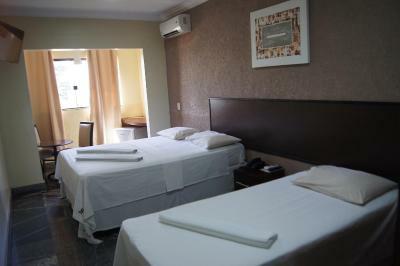 Candango Aero Hotel This rating is a reflection of how the property compares to the industry standard when it comes to price, facilities and services available. It's based on a self-evaluation by the property. Use this rating to help choose your stay! 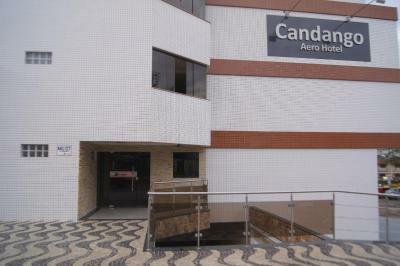 Just a 7-minute drive from Park Shopping mall, Candango Aero Hotel is located 6.2 mi from downtown Brasília. 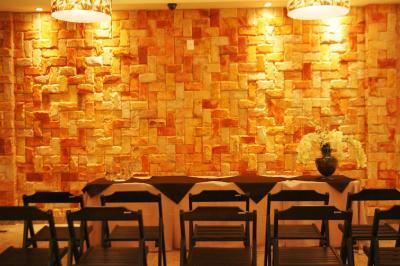 It offers air-conditioned rooms, free parking, buffet breakfast and a 24-hour reception. WiFi in public areas is free. 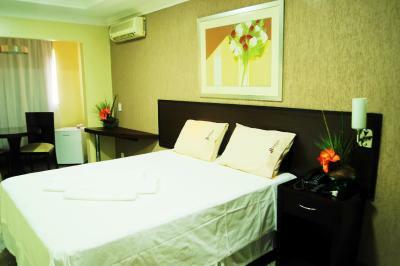 With modern furniture, rooms provide cable TV and a mini-bar. Their bathroom is fitted with a granite sink top and a glass shower box. Brasília International Airport is located 5.6 mi away. 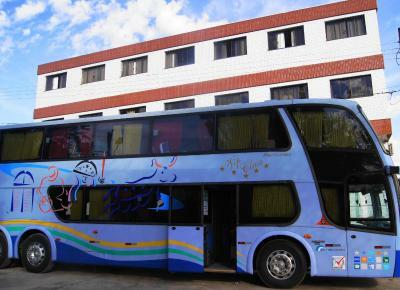 The city’s bus station is 1.2 mi from Candango Aero. The National Congress and the Cathedral are 6.2 mi from this hotel. 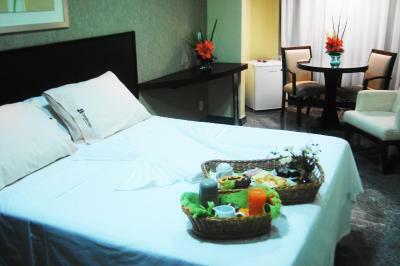 When would you like to stay at Candango Aero Hotel? 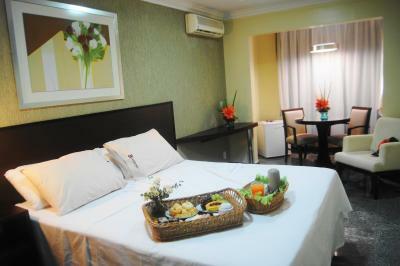 This air-conditioned room offers cable TV, a mini-bar and free parking. The private bathroom includes a shower. House Rules Candango Aero Hotel takes special requests – add in the next step! Candango Aero Hotel accepts these cards and reserves the right to temporarily hold an amount prior to arrival. Lighting. Only one central light and electric plugs not well placed. A few unpleasant stains on the floor. Very basic.